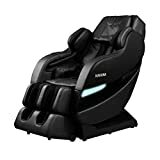 As you know, I've been searching for the ultimate massage chair for Green Head HQ for quite awhile now. 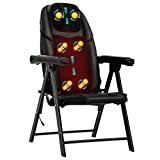 Here's another cool one that caught my eye, the iSymphonic Massage Chair by OSIM. 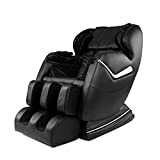 This innovative massage chair not only provides an unrivaled total-body massage utilizing advanced body scanning, 5 targeted healthcare programs and full massage for legs and hips, but it can also create a custom massage by synchronizing to any music CD on its built-in CD Player! 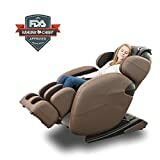 If you totally need a higher level of relaxation like I do or need to buy an incredible gift for someone who does (don't forget me), this massage chair ranks with the best. Hmmm, I wonder if you could hook this up to your home theater?